(Please note that tours are not available during the Queensland State School Holiday Periods) No booking is required. We manage our waiting list and enrolments using an online management system called My Family Lounge (Panel to the right) Please register and submit your waiting list form using this system. If you need any assistance with the process, please feel free to call us on 3871 5000. Complete online registration and waitlist form. Please make sure you create a ‘Recurring booking request’ at the bottom of the parent screen as you will not register on our system until this is created. Please do not complete the ‘Start Enrolment’ section until the Admissions Officer has contacted you to offer a place. An email will be sent to you confirming your waitlist and detailing payment method for the non-refundable waitlist application fee. You will be contacted by phone and via email when a place is available. 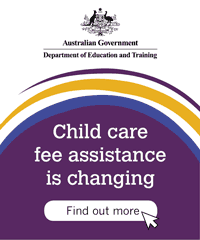 The mychild.gov.au website is Australia's online child care portal. On this website you will find information on different types of child care and how to get assistance with the cost of child care. This site also has information and links to other useful websites about children's health and well-being, parenting and family support services. Information on the new child care package and the current child care system. Please follow this link to read more about Montessori Education. To learn more about how we implement the Montessori Philosophy into our programme and curriculum refer to our Educational Programme and Montessori Curriculum. Does my child have to attend all day? Your child is welcome to attend from 7.00am to 6.00pm but we ask that all of the children are here between the hours of 9.00am and 3.00pm to get the most from the programme. A daily rate applies. How many days must my child attend? The minimum number of days for Kindergarten Children (children turning 4 by the 30th of June) is three days. For all other children the minimum number is two days. All children are welcome to attend up to five days per week. What hours is the Children’s House open? IMCH is open 50 weeks of the year Monday to Friday 7.00am to 6.00pm. The Children’s House is closed for approximately two weeks over the Christmas and New Year Period. Can I view and tour the Centre ? Tours of IMCH are conducted every Wednesday at 10.30am. No booking is required. Do you offer the Queensland Kindergarten Program? Yes. IMCH is an approved provider of the QLD Kindergarten Program. We provide for children in the year before Prep (i.e. children who are 4 by 30 June in the year they start). Our Kindergarten groups (Pre-prep) are staffed by qualified early childhood teachers who are either fully or provisionally registered with the Queensland College of Teachers. Does my child change groups during the year? No, the children remain in the same group. The daily fee includes nappies, sunscreen and in-house performances. What is the staff turn-over like? 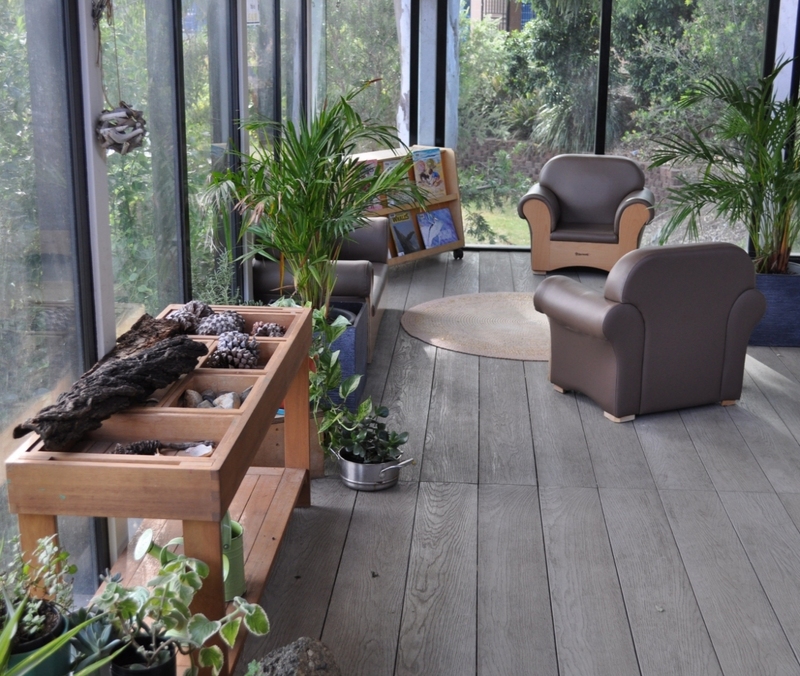 The Children’s House has operated for over 30 years, under the same Director, with minimal staff turn-over. What are the Grouping Arrangements? Can I claim Child Care Benefit and Child Care Rebate? Yes, IMCH is an ‘Approved’ Child Care Centre. Are fees charged when I go on holidays? Yes, fees are charged once your child is enrolled at Centre including days absent and Public Holidays. How do I access information about the programme and my child's progress?